Used on Data East, Sega, and some late-model Stern Pinball games. Used on drop target banks to detect fallen (down) targets. 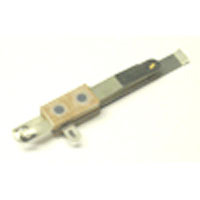 Replaces obsolete part #s 180-0030-00, 180-5092-00, and 180-5092-01. Possible replacement for obsolete Data East switch #s 180-5025-00 and 180-5025-01 (unconfirmed). Measurements: Blade portion measures 1-5/8-inches length. Short blade measures 1-5/32-inch. Contact points are 1-1/32-inch out from switch stack. Overall length 2-7/8 inches. Screw holes are 1/8-inch diameter, 3/8-inch on center. Includes short fish paper insulator. Available with or without diode (select above when ordering). Normally ships without diode. Diode is required for proper operation in most games. 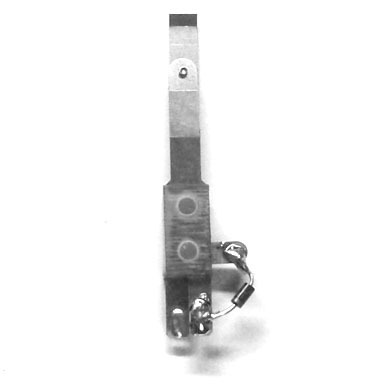 See additional image below for picture of part with diode attached.